…Okay, so maybe there’s not QUITE so much unity of thought in the fandom as I suggested. So, first, a little background on why this ISN’T about Star Trek V. See, for all it’s flaws, I can kind of respect Star Trek V. If you’re the kind of obsessive writer that I am and you’ve read up on the stories surrounding the production of the film, you can probably skip past the next few paragraphs. But if you actually have a life outside of people who get payed to produce instructions for others to play pretend, you should know that Star Trek V had a surprisingly rocky time of it in production. 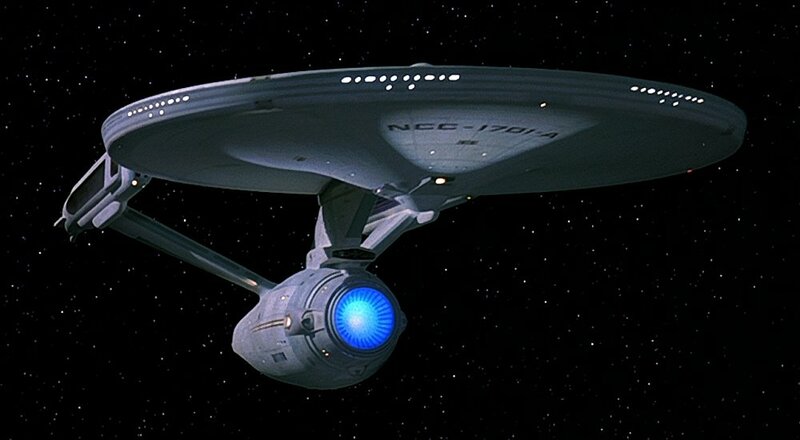 The original concept was a simple one: The Enterprise and her crew set out to find God. They discover the Devil. Along the way there’s a lot of critique of televangelists and pop religion. Simple, right? Well, it might have been before they had to change writers about five times, studio executives began making demands, the writers all went on strike (leaving them with a half-finished script) and they started having to hack away bits that would be too expensive to shoot. I might as well get this out of the way first: Yep, that’s absolutely a cool idea. Two iconic characters, both very different, teaming up to face a threat neither could take on alone. Each bringing their unique strengths and insights to the solution of the problem. Awesome, right? Shame that’s not even remotely what happens. http://regionswithoutborders.org/2016/02/workshop-strengthening-capacity-for-disability-measurement-across-africa/ did anyone buy clomid online The threat is… not really a threat. Let’s be honest here: the threat is an elderly scientist with 1 missile, backed up by some foes who have been easily defeated every time they appear. What’s more they’re in a ship that even the half-crippled and barely-crewed ORIGINAL Enterprise was capable of trouncing way back in Star Trek III. Birds of Prey are like kryptonite to ships named Enterprise apparently. The reason Picard brings Kirk back is so that he has someone to back him up in a fist fight. He didn’t need a legendary starship Captain for that. He needed Rocky Balboa. There is nothing about James Kirk that makes him inherently well suited for this task. And frankly they also presented us with nothing that we hadn’t seen the Enterprise-D and her crew overcome on their own plenty of times during the run of the series. Okay, I’ll admit it, I grew up on Kirk. He’s a favorite. 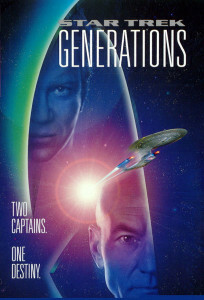 But even people who are die-hard Picard groupies have to admit that the character we get in Generations is not the same James Kirk we came to know in the TV show and films. Which would be fine, frankly, given that he’s been stuck in the Nexus for 70 years. …Except of course for the fact that they hand wave that little issue away by claiming temporal weirdness. Kirk is frankly far too willing to just give up when Picard comes across him. Because, it seems, the temptations of the Nexus are just too great. Except that by this point, the Nexus should be pretty old hat to Kirk, and if anyone was going to be tempted by what the Nexus showed them, you’d think it would be Picard. Compare the two: Kirk’s life is running down. He feels like he doesn’t matter anymore, and the galaxy is moving along without him. The Nexus shows him a chance to live a domestic life out in the mountains, which he gave up in order to make a difference in Starfleet. Picard, on the other hand, is… well, also running down. He’s getting older, has come to terms with the fact that he’s never going to have a family of his own, and just recently heard the news that what little family he did have has been wiped out in a horrible tragedy. He’s now more alone than he’s ever been, with the knowledge that after he dies there won’t even BE any more Picards. And the Nexus shows him… well, basically the same thing. A domestic life with a family that could have been, with his nephew still alive and well. Does anyone ever fall into the Nexus and NOT see some kind of domestic setting? Kirk makes it pretty clear that everything in the Nexus he sees was quite far back in his past. You just can’t argue that he’s less at peace with that decision than Picard, whose psychological wounds about this are so fresh they’re practically still bloody. This isn’t doing Picard any favors either. This scene basically side-steps any resolution we might have gotten to his grief over his family’s death. Yeah, not really too much to say here. Kirk dies in a very mundane way: falling into a massive canyon while riding a steel trestle bridge, bouncing off of every outcropping on the way down. I suppose there’s something profound to be said with a statement that even legends can die trying to emulate Homer Simpson. But I don’t think that ANY of us predicted that it was how James Kirk would die. Seriously, not a single person. To me the saddest thing is the fact that one of the few bits that Star Trek V did brilliantly was a single line of foreshadowing from Kirk: “I’ve always known that when I die… I’ll die alone.” And given the narrative they went with, the opportunity to give it some pay-off was right there. Kirk’s been displaced 70 years. All his friends are dead. …Ahem, I SAID, all of his friends are dead. …Well, most of his friends are dead. Presumably. I mean, I’m sure he must have had some outside of Spock and Bones that he loved more than life itself, right? Regardless, it would seem that they could have some great pay-off for one of the few lines that fans actually liked from Star Trek V, but in the end they let that opportunity slip by them. Kirk dies in the arms of another man, just as millions of slash-fic devotees have insisted he would throughout the ages. Payoff is denied until the next time they kill Kirk on screen… when he dies in Spock’s arms. To the joy of millions more slash-fic devotees who’d felt cheated the first time around when Kirk had died in the arms of the wrong man. 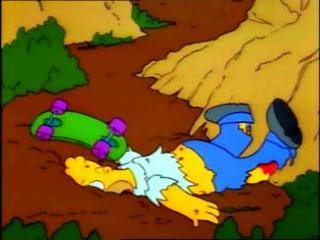 Kirk’s not the only one to get taken out in an underwhelming fashion either. The Enterprise-D herself is also subject to an ignoble end. I mean, sure, the actual bit with the saucer crashing was awesome, but everything leading up to that really wasn’t. The Assassination of the USS Enterprise by the Coward… you know what, either you get the joke by now, or you don’t. I know I’ve mentioned it before, but it bears repeating. The Enterprise got taken out by a ship it outclassed in every regard. Before you flee in terror, I’m not going to pull out spec sheets and start making an argument for how two fake starships would stack up in a fight. Even though I probably could. Models get re-used, scale shifts drastically from shot to shot, and capabilities change depending on the needs of the story. I get that. But in every bit of dialog where the crew of the Enterprise discuss the Klingon ship, they are completely and utterly dismissive of it. Even the Klingons are dismissive of it. We’re told flat out that if it came to a fight, the Enterprise had enough firepower to atomize their opponent. Which is why it’s so baffling that when it came down to a fight, the Enterprise basically didn’t even engage. Yes, her defenses were compromised. That’s a problem. But her offensive capability wasn’t. And yet the only response we saw them give was a single phaser blast as the ship turned to flee. Okay, once again sticking to what was established on screen: that’s pretty pathetic. No explanation is given as to why the Enterprise couldn’t just return fire with every weapon in her arsenal, which the characters have made clear through dialog should have been a decisive strike. Having the Enterprise taken down in such a simple manner is essentially just a contrivance to explain why Picard can’t rely on his ship for backup. And in the process, they are making the crew look less competent. Yeah… the thing is, I know that there were apparently billions of lives riding on that fistfight. But truthfully, it’s a little hard for me to appreciate that when I watch the movie. Know why? Because we never see a single one. 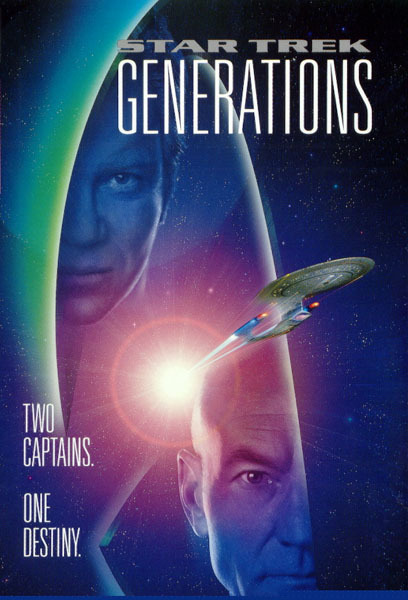 Generations tells us a lot about big things: planets being destroyed, treaties being broken, weapons of mass destruction being sold on the open market… and yet they don’t really show us any of it. That’s sometimes okay on a TV budget where you can show such things in other ways, but films like this have to be more self-contained and bring much more in the way of spectacle. Really, there’s very little here that couldn’t have been done just as well were it on TV. And despite all the talk about what the consequences of this may be, the universe is barely changed at all by the time the film wraps. Sure, the Enterprise is gone, but to be fair given the D’s showing in that fight it was probably time for an upgrade. The Enterprise E. Now with 500% more Pew. So, there are the five key failings, for me, in the script for Generations. In the next installment (or possibly 2) I’ll be looking at possible ways it could have been tweaked to remedy (or at the very least gloss over) these issues. Hopefully you’ll join me for much more nerdity then!